Spices, herbs, tinctures and essential oils have been used for millennia to season our food, heal our bodies and boost our spirits. In our Throwback Thursday (#TBT) series, we at re:iimmune will take you back in history to learn how these gifts from Mother Nature have been used. We’ll focus on their use through the ages and beneficial purposes in regard to nutrition, natural health and household care. Today we focus on the benefits of ylang ylang essential oil! Ylang ylang (e-lang e-lang), often called “the poor man’s jasmine”, comes from the sweet smelling, star-shaped flowers of the ylang-ylang tree. Native to Malaysia, Indonesia and other east Asian lowland countries the tree does not produce flowers until five years of growth but then produces up to 45 pounds of flowers for up to fifty years. High quality oil made from the flowers has a sweet and musky aroma and is prized for it’s amazing scent. However, indigenous peoples of the areas where it grows quickly discovered it was effective as a natural treatment for skin irritations such as cuts, burns and insect bites as it inhibits microbial growth and disinfects wounds. Indonesians scatter the petals over the beds of newlywed couples on their wedding night. 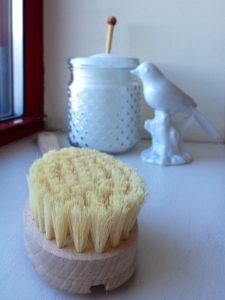 A hair pomade, Macassar oil, developed in the Molucca Islands became so popular in Victorian England that it led to the creation of the antimacassar, a decorative chair covering used to keep the oil from staining upholstery. In the 20th century, French chemists discovered that the oil was useful in treating intestinal infections and that the oil had a calming effect on the body, specifically the heart. Eventually, ylang ylang essential oil was used as the top floral note in the now famous Chanel No. 5 perfume. Ylang ylang oil has also proven beneficial in treating eczema. Caused by malfunctioning sebaceous glands which don’t provide an adequate production of sebum, eczema is a painful skin disorder. 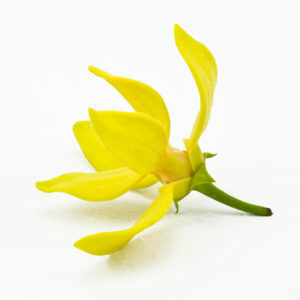 Ylang ylang soothes inflammation and assists the skin in regulating sebum production. It’s also loaded with organic compounds that are beneficial to the hair and scalp. Since it’s known for uplifting mood and promoting relaxation, it’s a terrific addition to massage oil. If taken in excessive amounts, it can result in nausea and headache so it is important to use ylang ylang oil in recommended doses. Epsom Salt has many therapeutic qualities! Today we’ve got some reasons why this mineral compound, comprised of magnesium and sulfate, does wonders for the body and why you should incorporate a good soak in them to your wellness routine. We’ll also share some links to homemade bath salt recipes so you can try making your own concoctions to give to friends and family and enjoy yourself. Magnesium deficiency is all too common and soaking in epsom salt can naturally boost internal levels of magnesium as it’s easily absorbed through the skin. This benefits many bodily functions including muscle control, boosting energy levels and the ability to eliminate harmful toxins. Epsom Salt also works to alleviate muscle tension, joint pain from inflammation and speeds up healing from bruises and sprains. Researchers have found that magnesium deficiency also has a profound effect on stress so a nice long soak in Epsom salt relaxes the muscles and the mind. Epsom Salt also works wonders as a natural exfoliant to keep skin soft and smooth. It’s not as harsh as typical sodium chloride (table) salt so it’s less drying and irritating. The coarse texture is ideal for removing dead skin and it’s anti-inflammatory properties prevent irritation. You can also use it on hair that is prone to being oily in order to get more volume. To do this, mix equal parts conditioner and Epsom salt and warming it in a pan. Work the warm mixture through your hair, leave on for 20 minutes then rinse thoroughly. Finally, it just feels heavenly to take a nice long soak in the tub! Here are links to several simple bath salt recipes for you to try out. Spices, herbs, tinctures and essential oils have been used for millennia to season our food, heal our bodies and boost our spirits. In our Throwback Thursday (#TBT) series, we at re:iimmune will take you back in history to learn how these gifts from Mother Nature have been used. We’ll focus on their use through the ages and beneficial purposes in regard to nutrition, natural health and household care. Today we learn about the treasure that is turmeric! The people of India have long known what a treasure turmeric is and have used it in their cooking, sacred rights, in their beauty routines and as a healing helper for many ailments. Pottery discovered near New Dehli contained residue from the spice used as early back as 2500 BCE. It’s botanical name is Curcuma longa and it produces both flower and rhizome, a stem that grows underground, similar to ginger. The rhizome is the part of the plant that gives us golden hued turmeric. 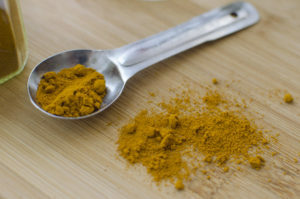 Indian curry gets its yellow coloring from it and it’s long been used in many other dishes, favored for its ability to aid in digestion and improve circulation. Turmeric was also used in India and other surrounding countries in sacred ceremonies. In southern India, an amulet made of the turmeric rhizome was believed to protect the wearer from evil spirits. Saffron colored Buddhist robes are achieved by using the spice as a dye. Hindus also view it as sacred. During a wedding, a string dyed yellow with turmeric is tied around the bride’s neck by the groom. The mangala sutra, as the necklace is called shows that the woman is married and capable of running a household. It’s sacred standing is owed to its remarkable healing properties as well. Ayurvedic medicine is an ancient Indian practice of natural healing and these discoveries of turmeric’s abilities by these ancient peoples benefit us still today. They discovered that burning turmeric could relieve congestion and that the spice was also helpful in healing wounds, bruises and a variety of other skin problems. Turmeric is prized for its many benefits in a skin care/beauty regimen. It’s been used successfully to aid in inhibiting facial hair growth, smoothing and evening out skin tone and lessening dark circles under the eyes. Its wonderful as an exfoliant and in treating dandruff of the scalp. Many swear by it’s ability to naturally whiten teeth and it’s also known to be effective as a treatment for cracked heels and softening the skin of the feet. Head to toe, turmeric has a myriad of benefits for the human body. This includes internally. Turmeric is a potent natural anti-inflammatory and painkiller with abilities that have been shown to be as effective as many anti-inflammatory drugs but without the side effects. This makes it very helpful in dealing with arthritis and muscle pain. Numerous other studies are being done on its possible powers in treating some forms of cancer including melanoma, slowing the progression of Alzheimer’s by removing amyloid plaque buildup in the brain and its abilities to aid in fat metabolism and help in weight management. There are so many different ways and good reasons to incorporate more turmeric into your diet and beauty routine. Below you’ll find a few links to ways to do just that!